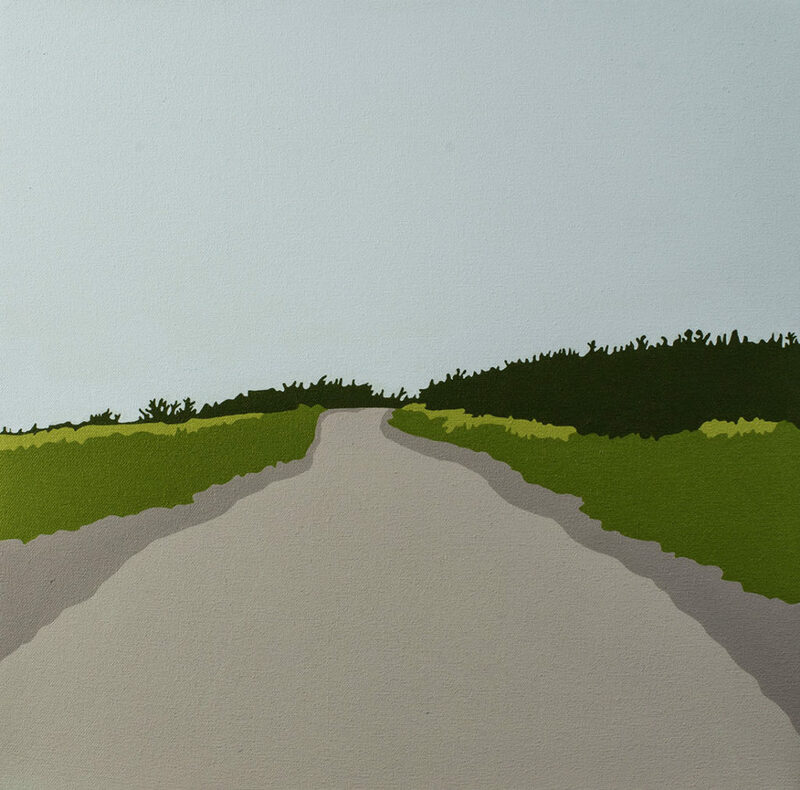 With process a priority in her work, St. John’s-based artist Kym Greeley often draws inspiration from landscapes to create screen-printed paintings. Following her undergraduate degree at the Nova Scotia College of Art and Design, Greely studied at the Cooper Union School for the Advancement of Art and Science in New York. She returned to Newfoundland in 2003, longing to paint the landscape she knew so well, one which was dominated by its monotonous main artery, the Trans-Canada, Route 1, experienced through a car window on the way from one place to another. Titles in her work are often abstract, randomly selected; the setting is Newfoundland, but the reality is that it could be anywhere. Greeley has exhibited her work internationally in Germany, Italy and the United States, and nationally in Toronto, St. John’s and Montreal. She is included in numerous corporate and public collections, including the Newfoundland Provincial Art Bank Collection, the Art Gallery of Nova Scotia, The Rooms Provincial Art Gallery in St. John’s, and the Canada Council Art Bank. She is represented by Christina Parker Gallery, St. John’s.